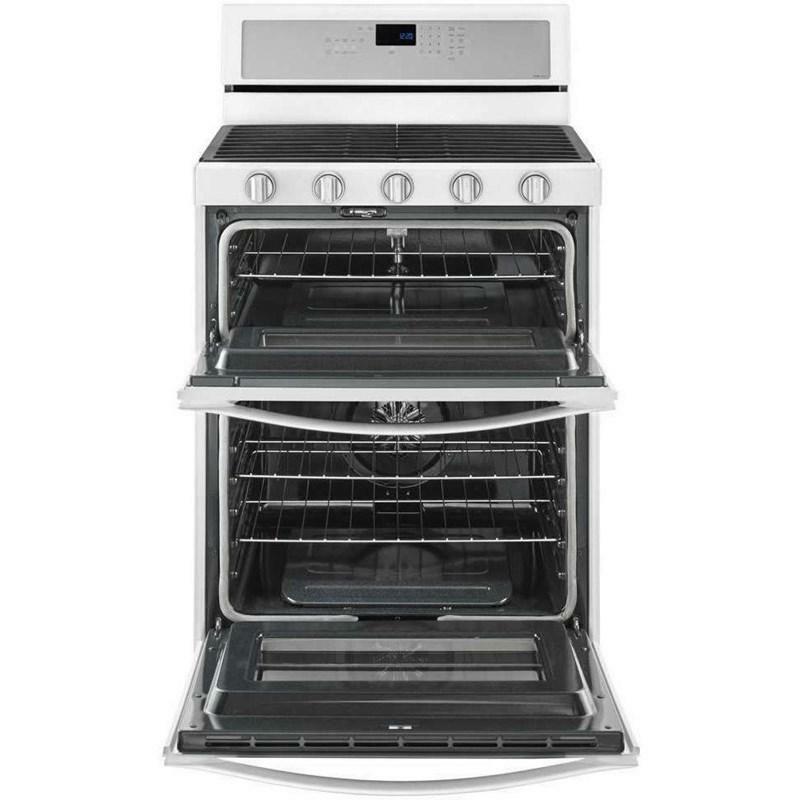 Get dinner on the table quickly with this gas double oven kitchen range. True convection cooking lets you cook food faster. 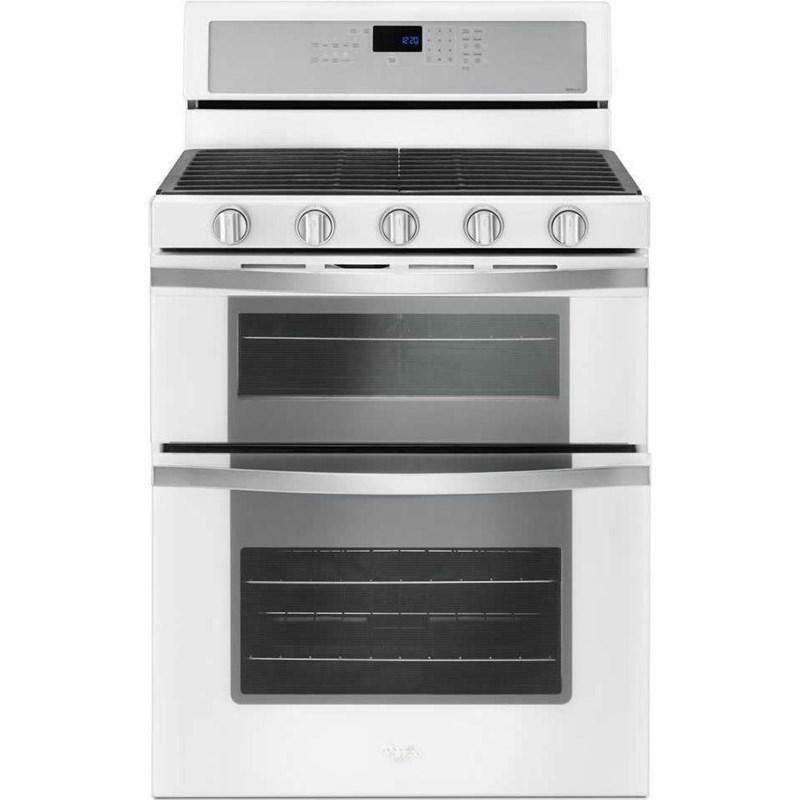 Convection Conversion will do the math for you to adjust cooking times and temperatures. 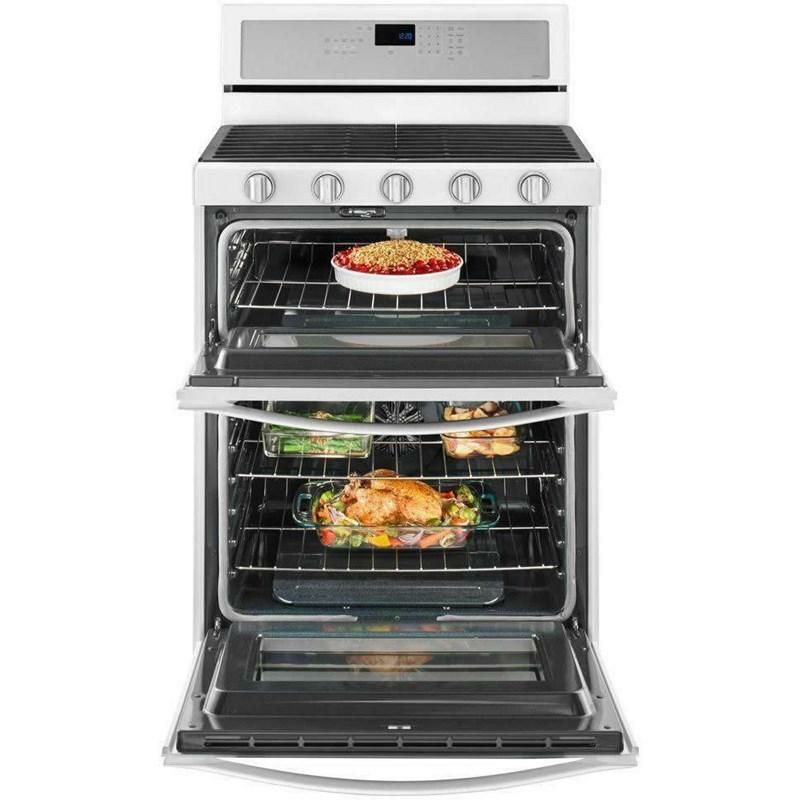 Skip preheating this oven range for frozen favorites like pizza, lasagna, chicken nuggets, fries or pies, thanks to Frozen Bake™ technology. Large griddles and other longer cookware heat evenly on the range stove with the center oval burner. And if you make a mess, EZ-2-Lift™ hinged cast-iron grates provide quick access to wipe up spills on the kitchen range's cooktop. Capacity (cu. ft.) • Total: 6.0 cu. ft.
• Upper: 2.1 cu. ft.
• Lower: 3.9 cu. ft.
Additional Dimensions • Depth With Door Open 90 Degree: 46"
• Cutout Width: 30 1/8"